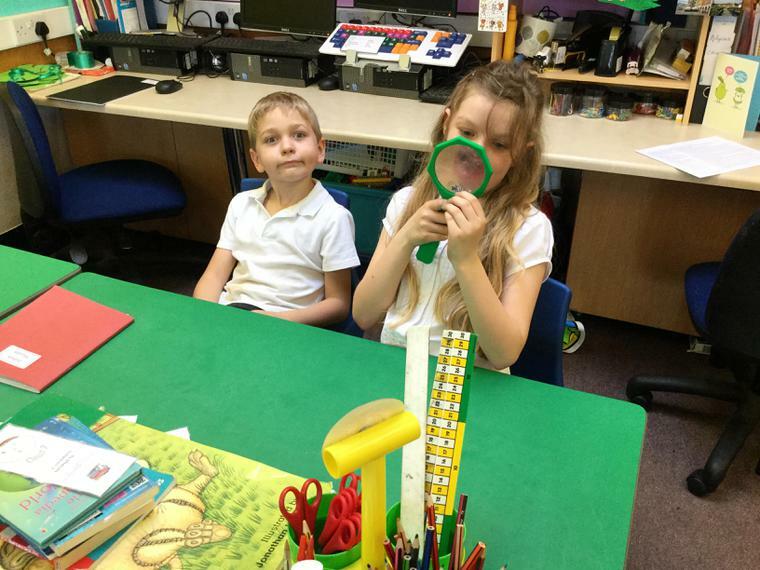 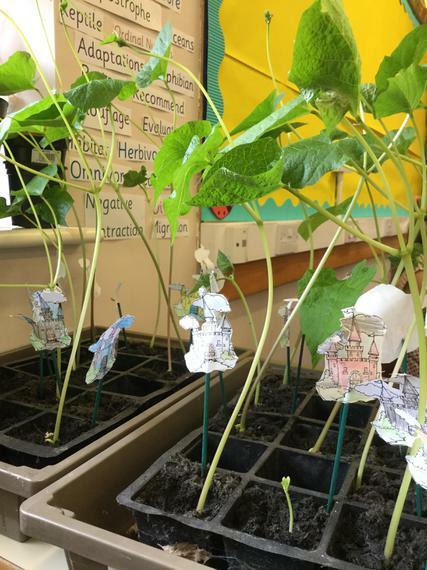 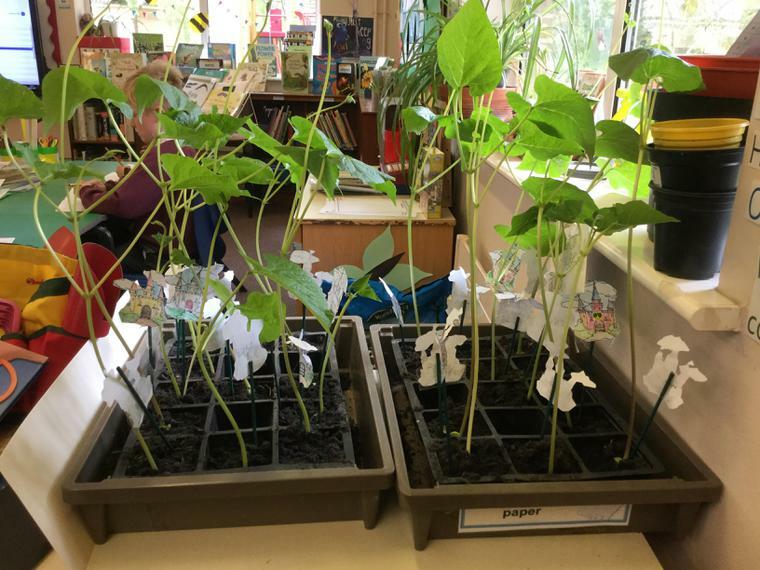 Our beanstalks have grown! 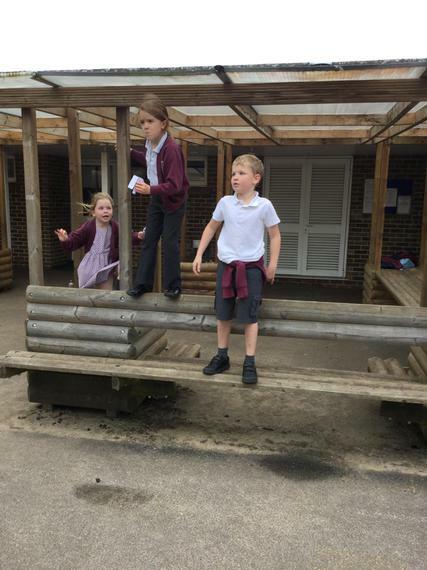 They have even gone past the castles! 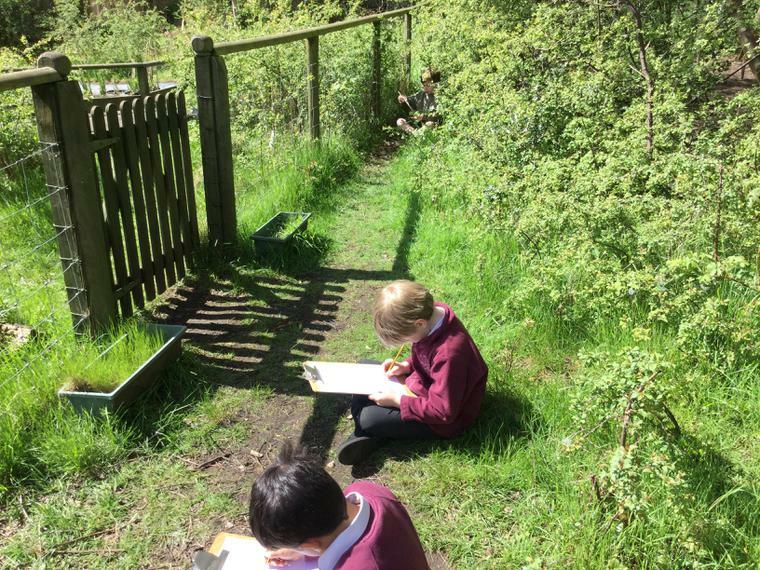 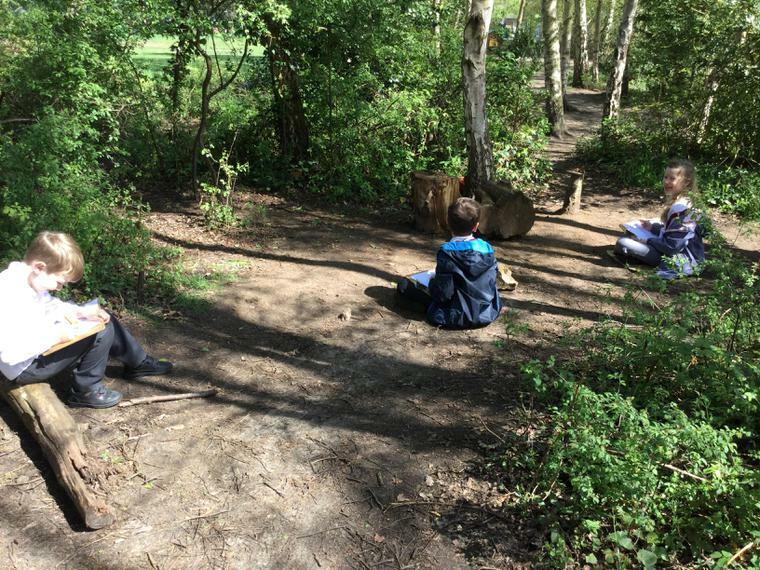 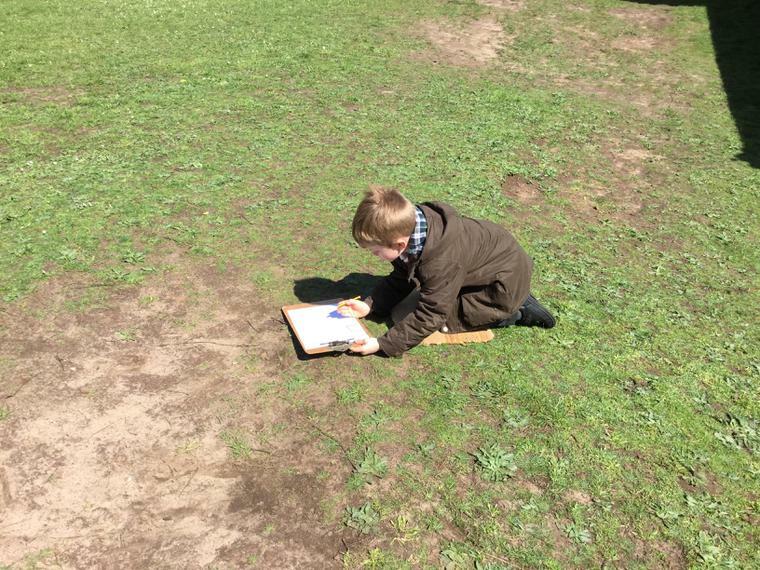 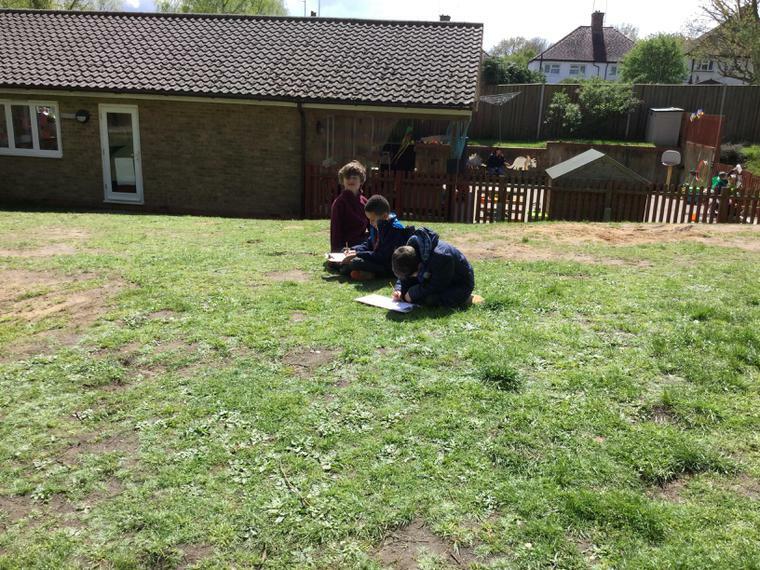 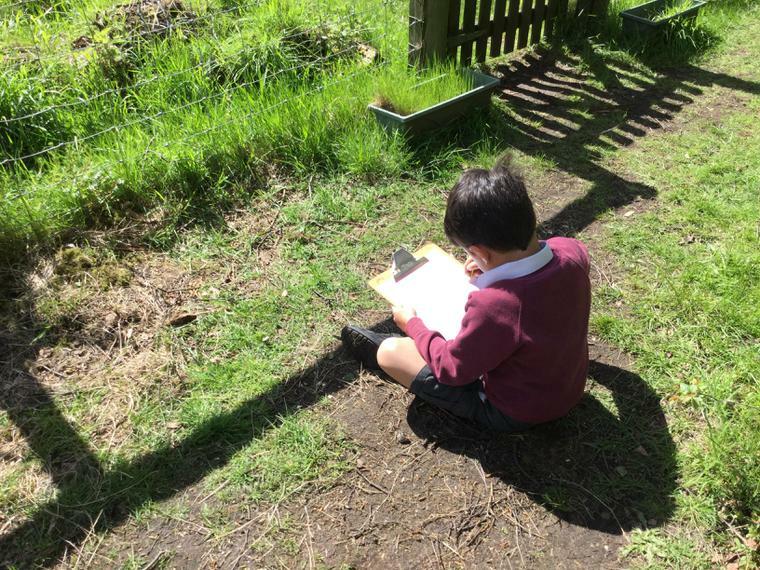 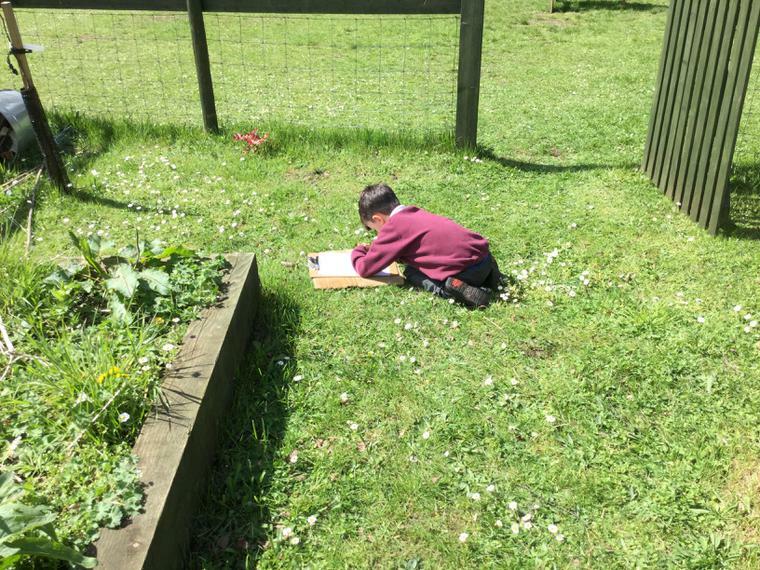 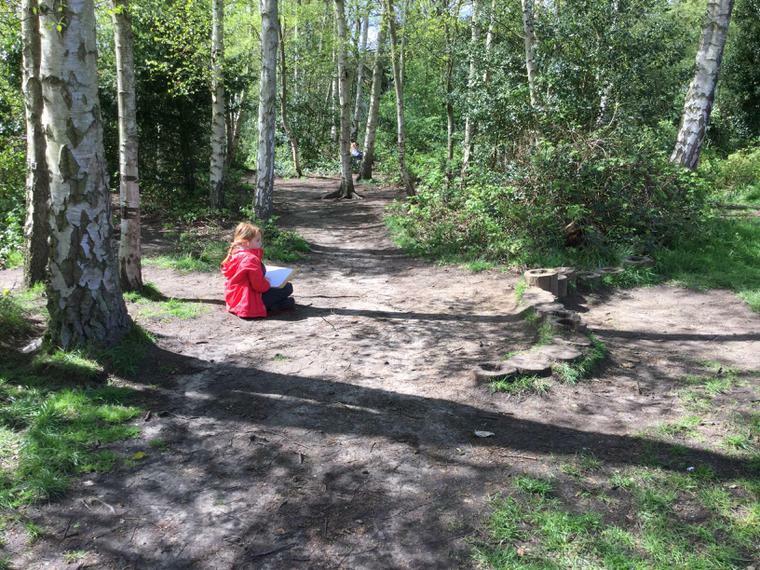 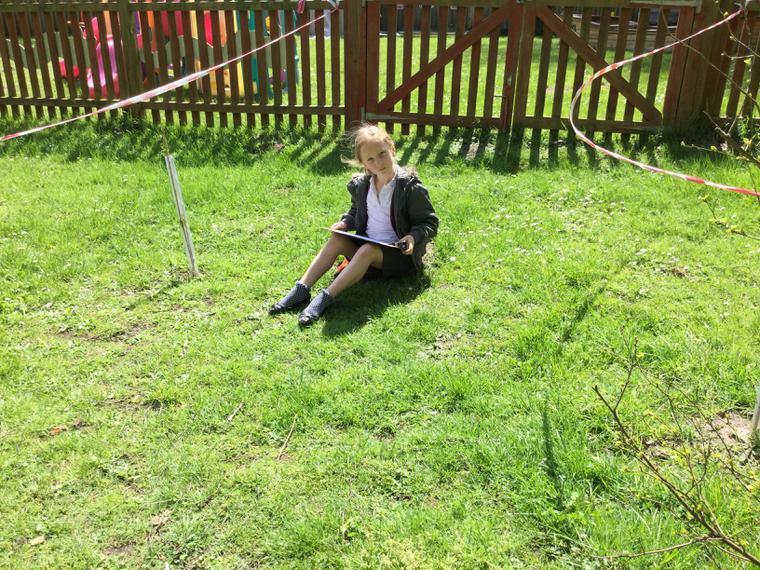 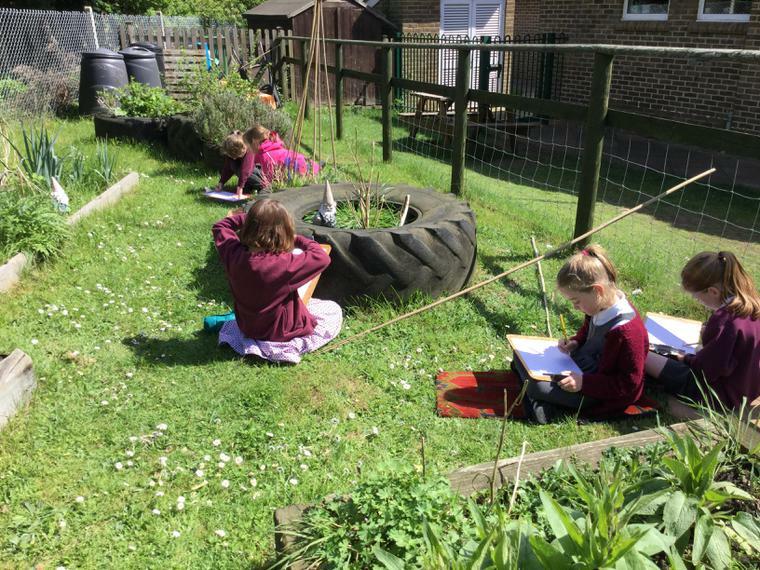 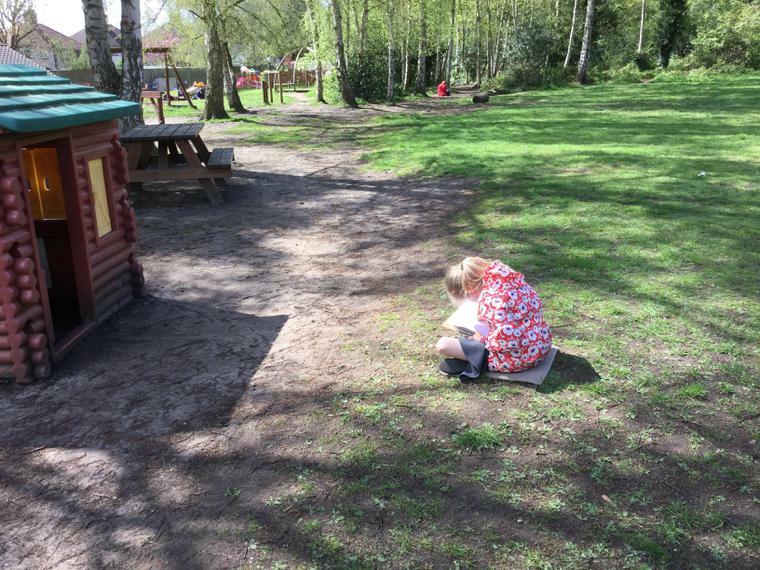 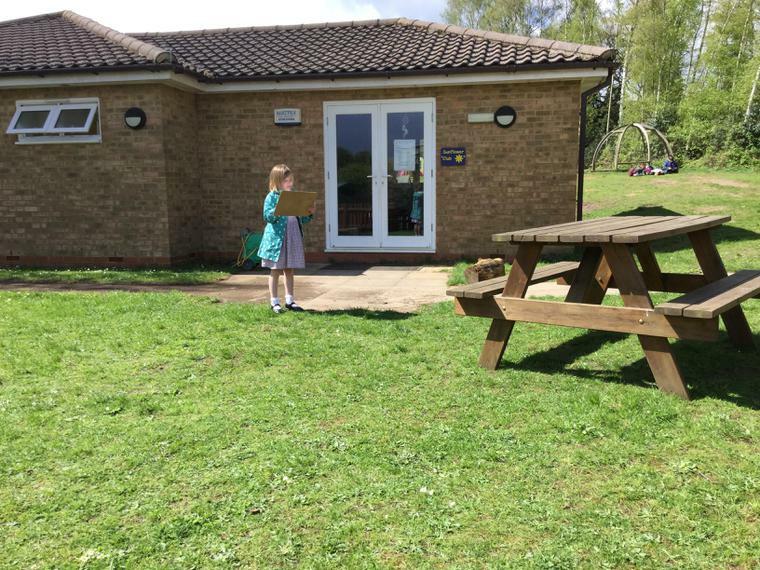 We practised our sketching skills in our school grounds. 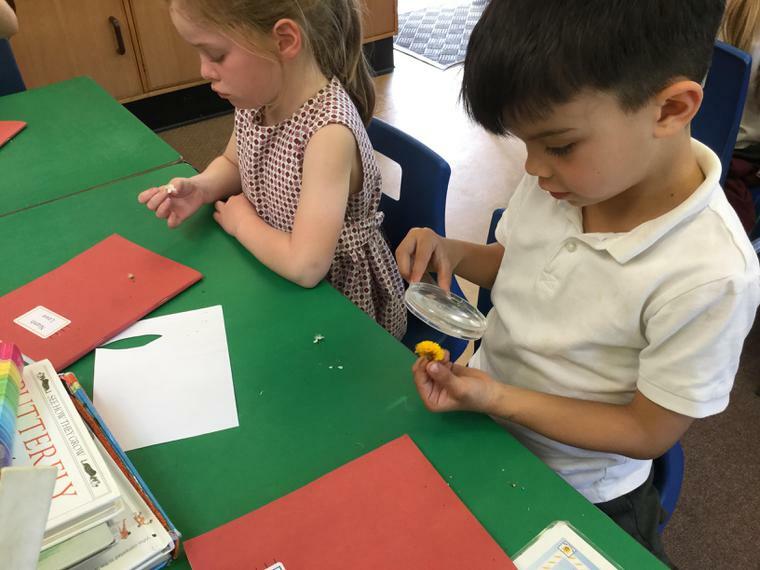 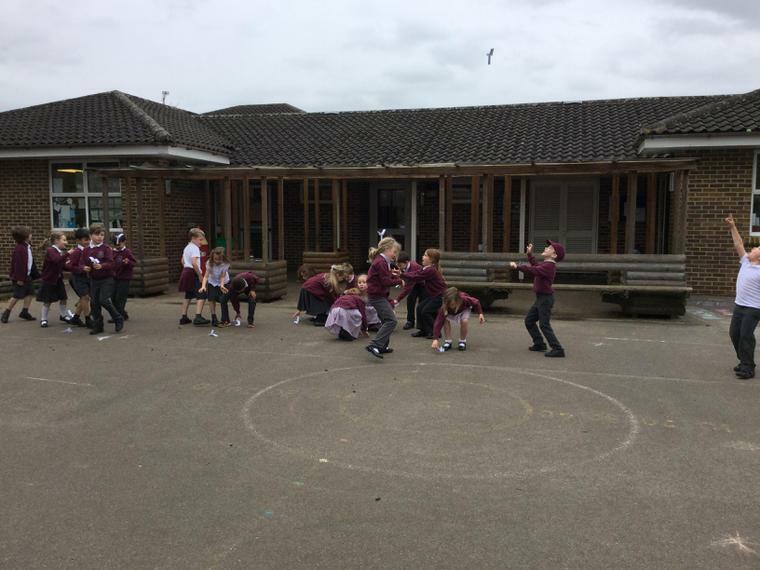 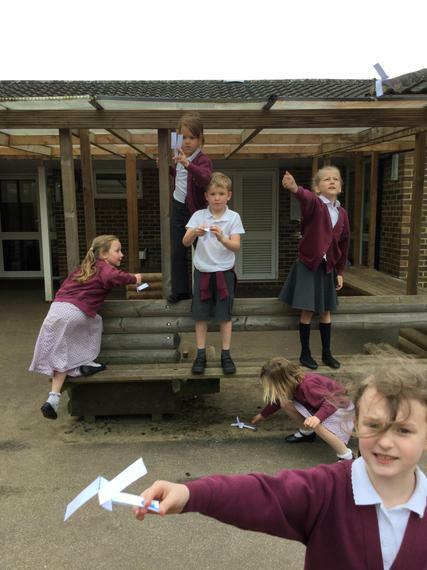 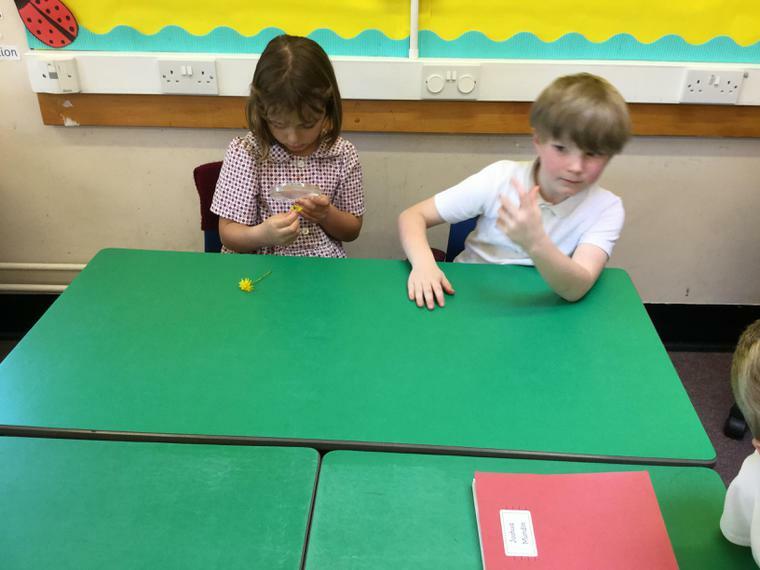 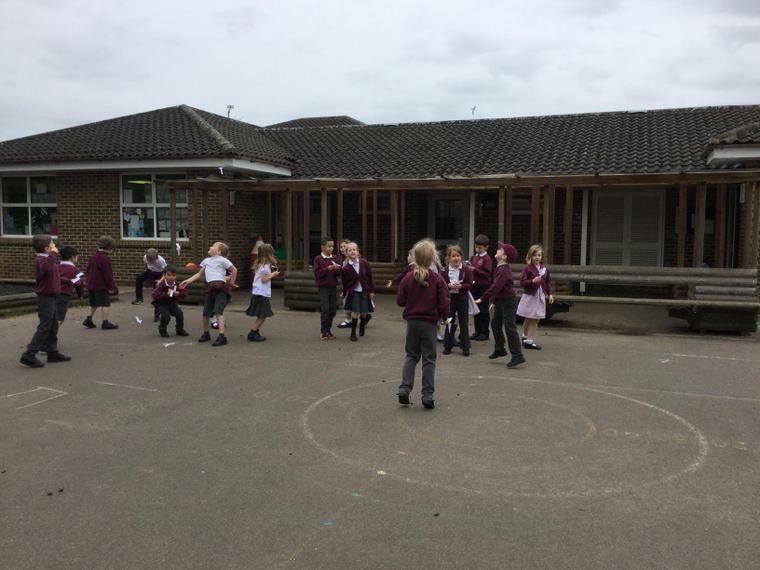 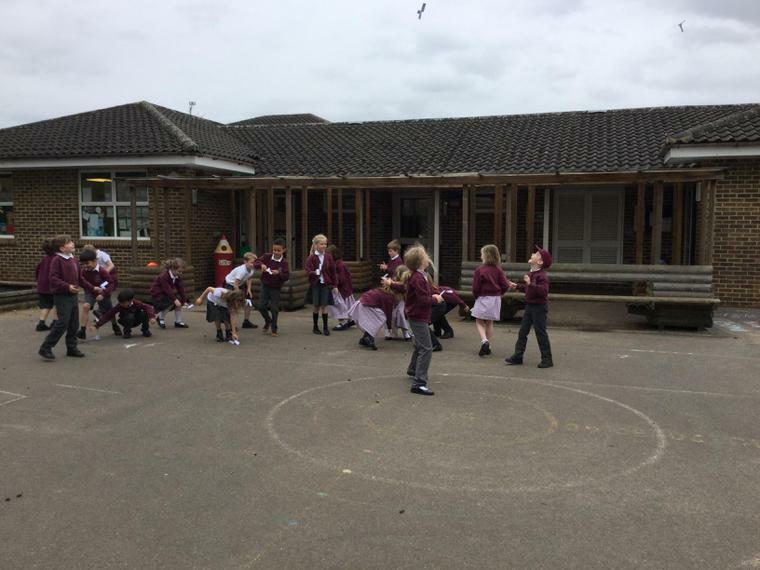 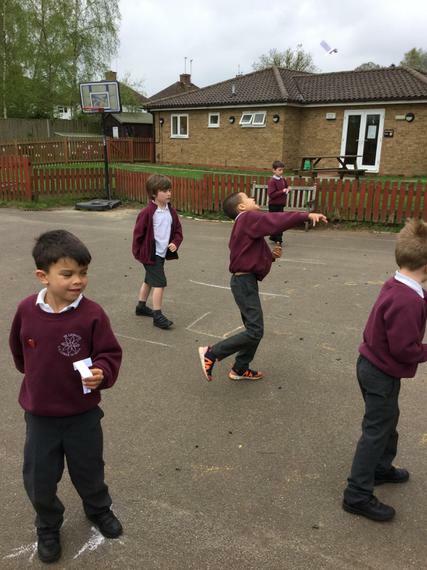 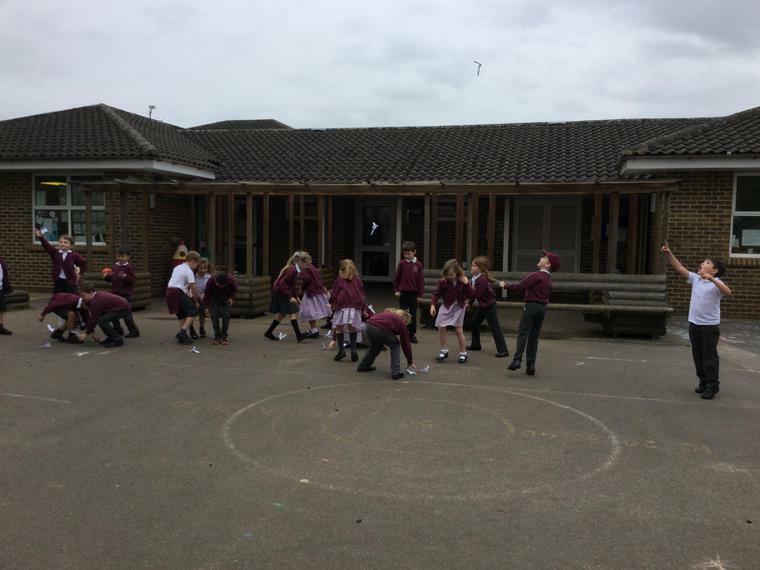 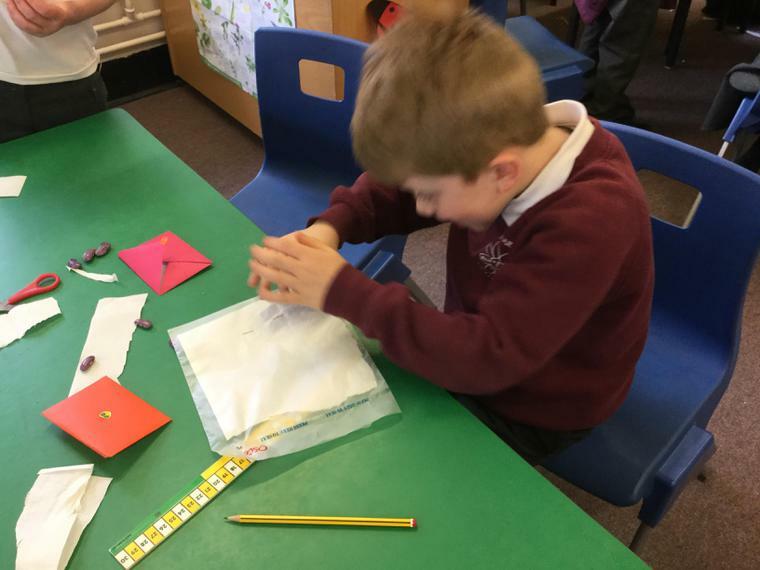 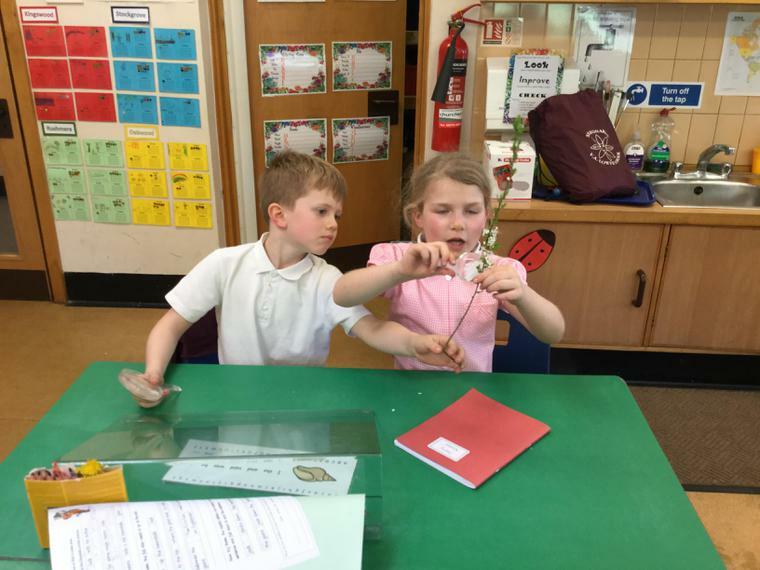 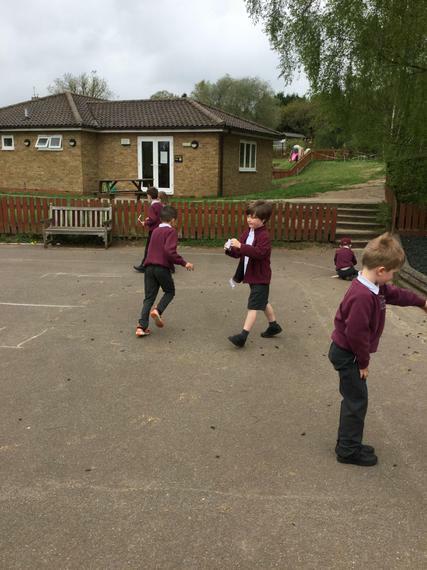 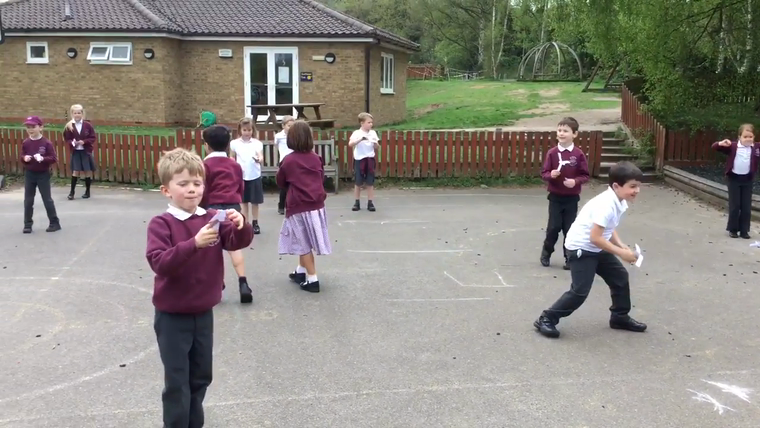 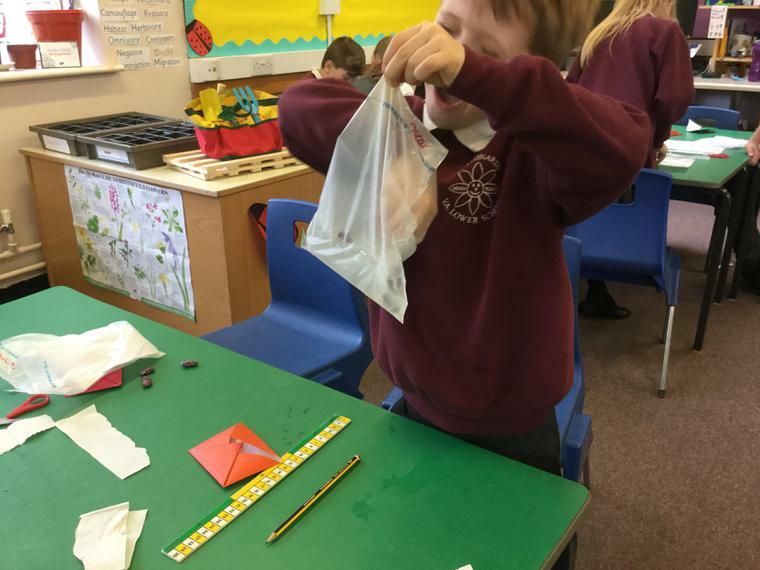 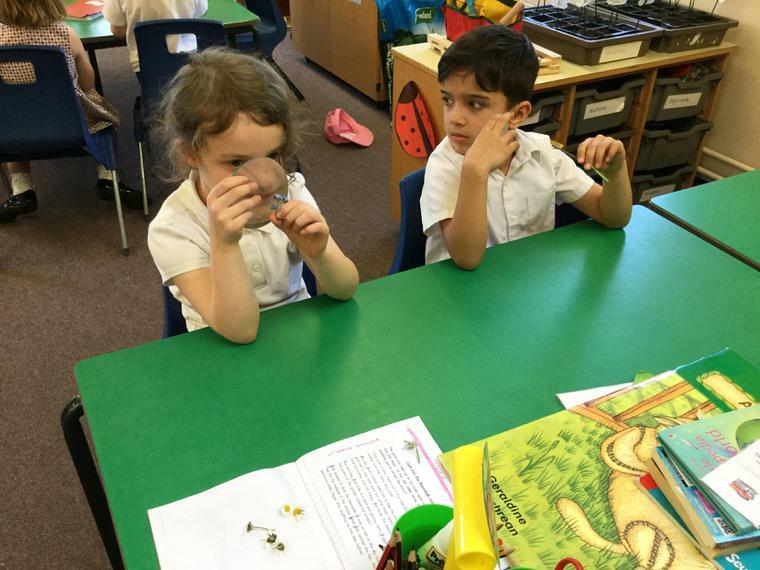 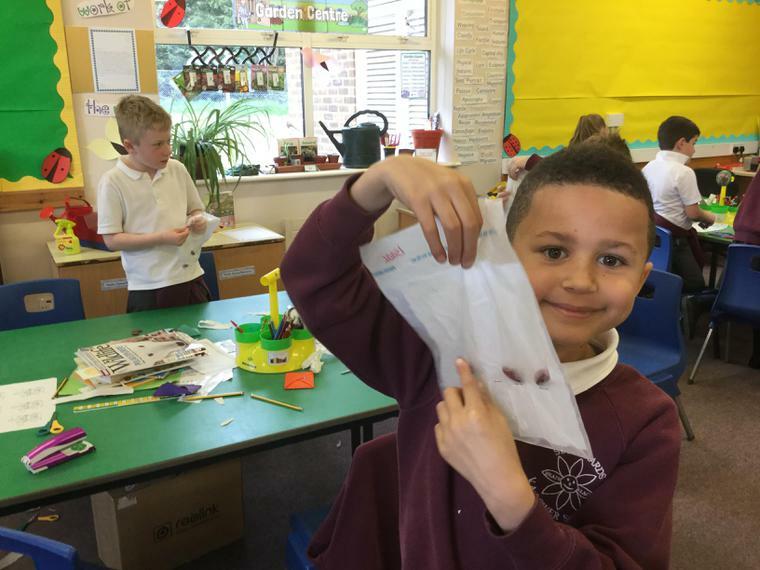 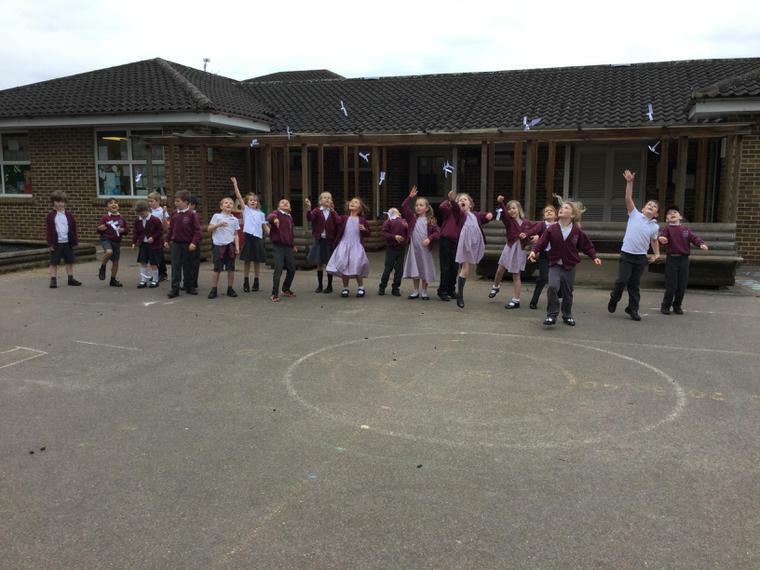 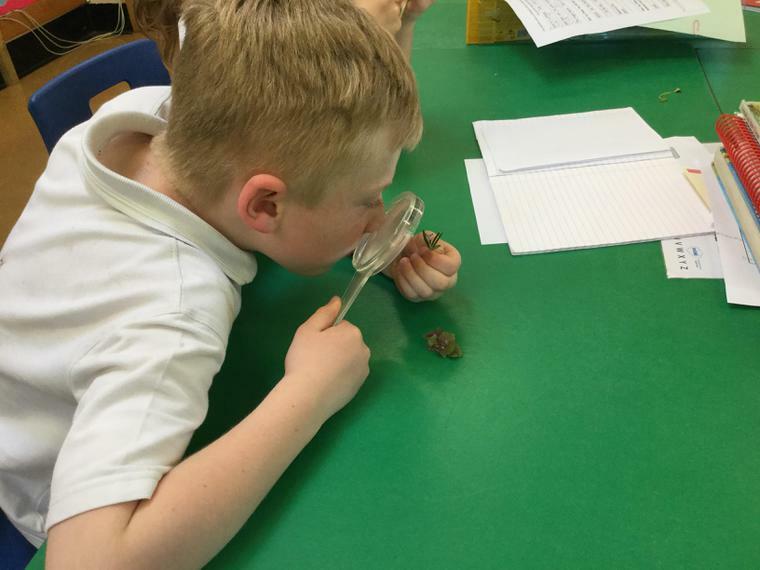 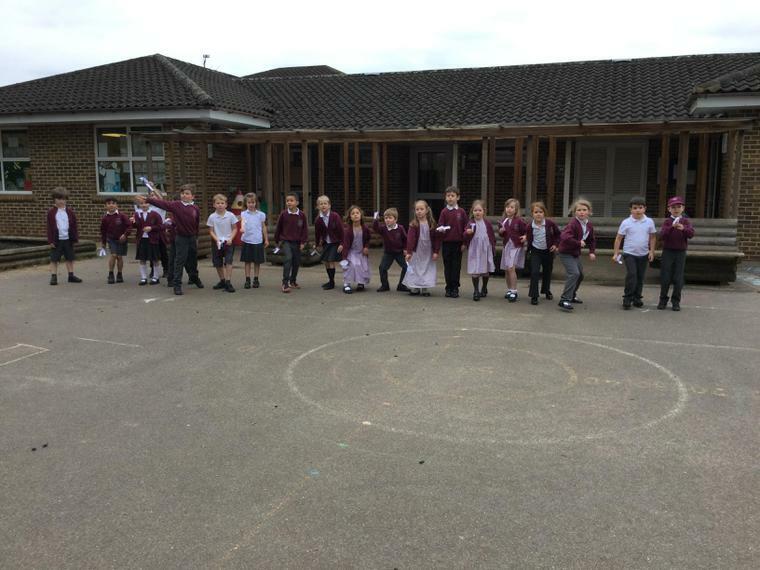 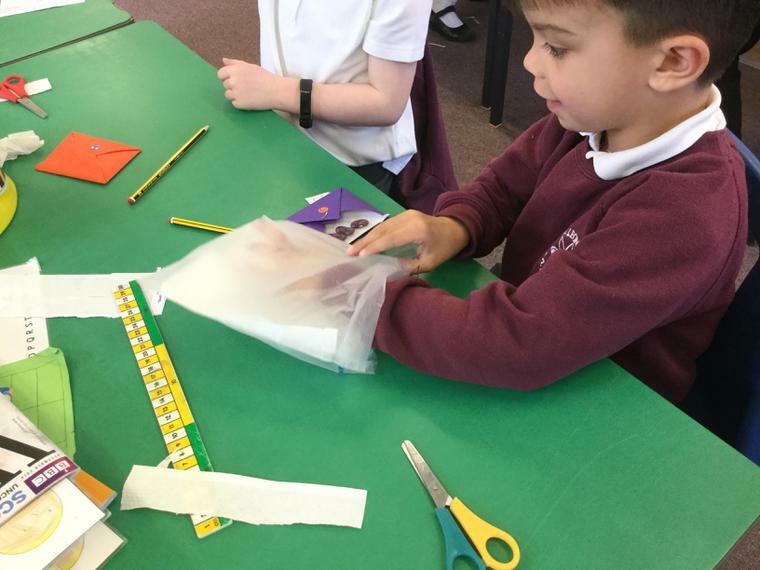 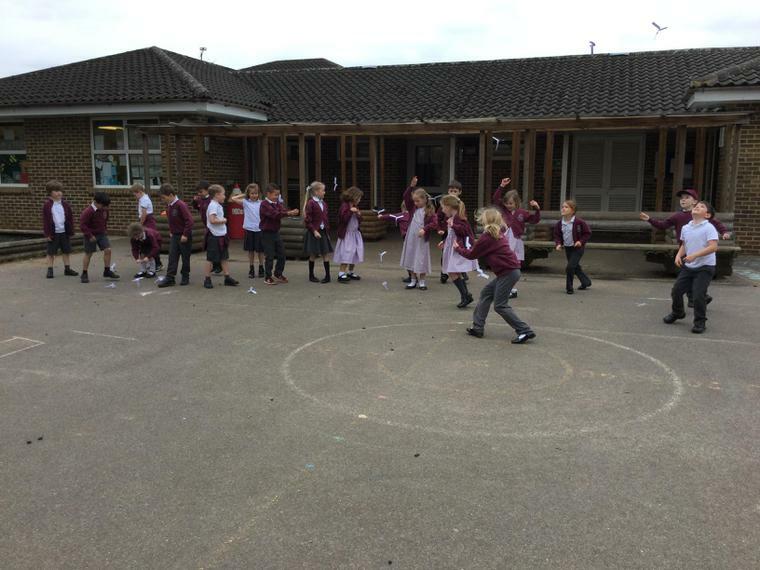 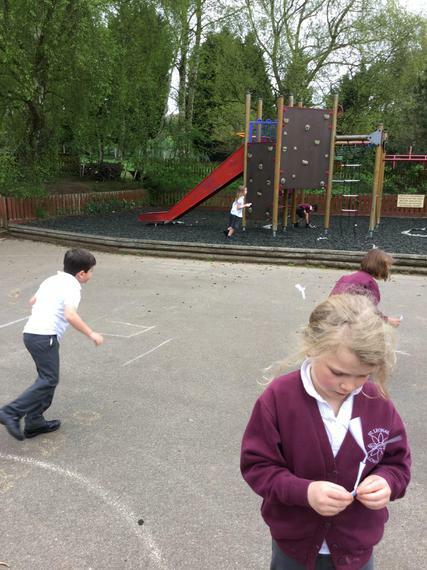 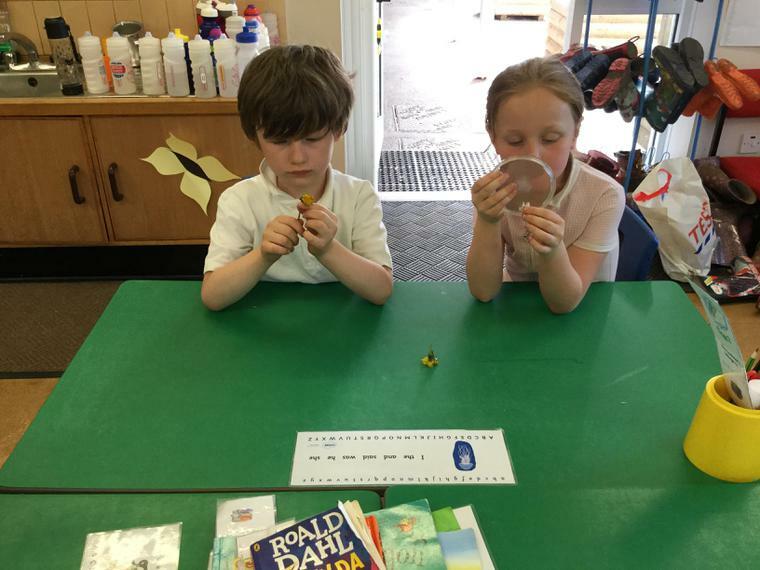 We made our own spinners to act like a Sycamore seed dispersing in the wind. 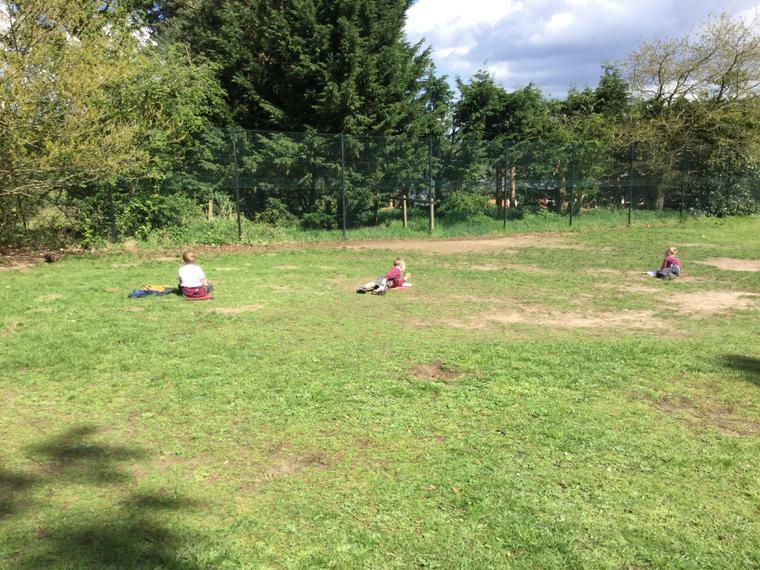 This is us testing them out. 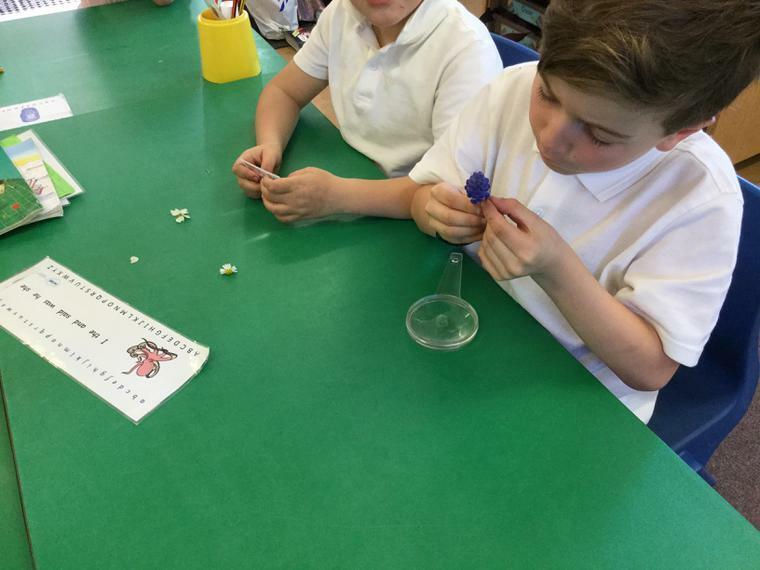 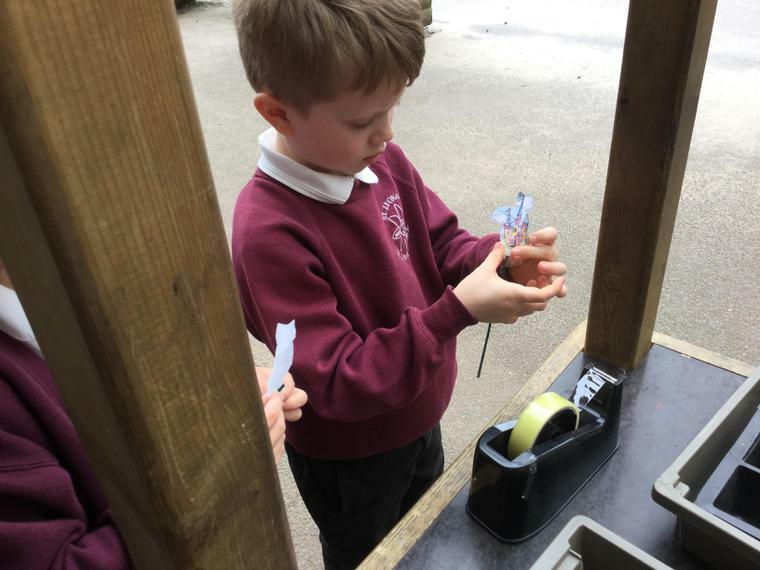 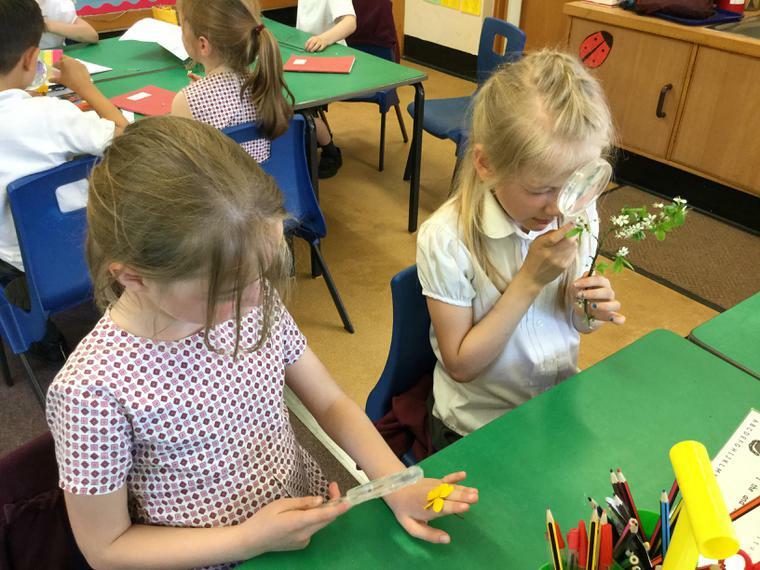 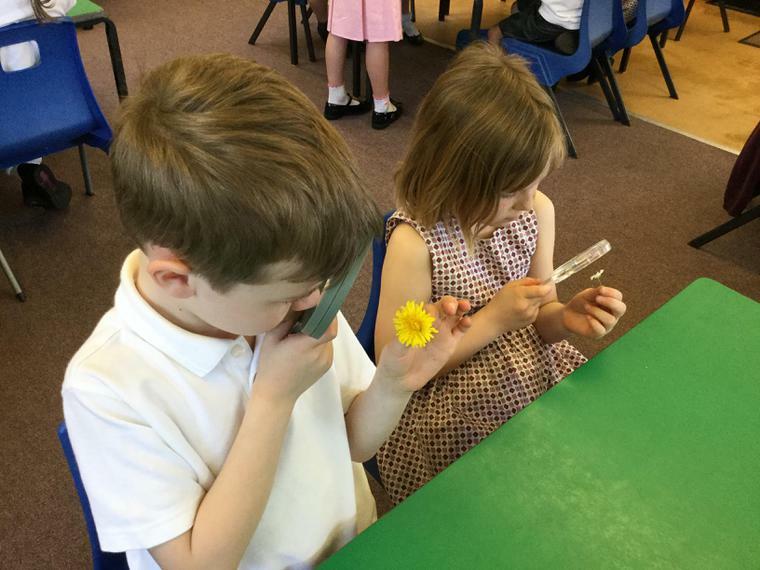 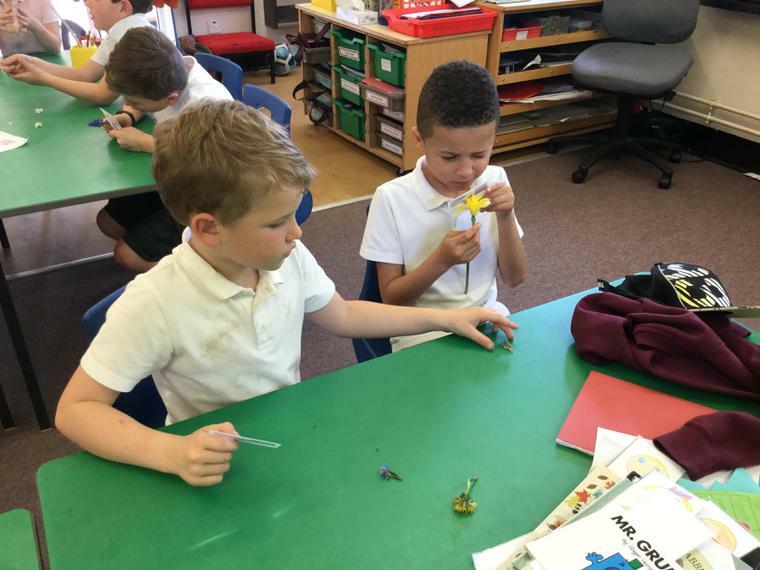 We looked at flowers from the grounds and labelled the different parts. 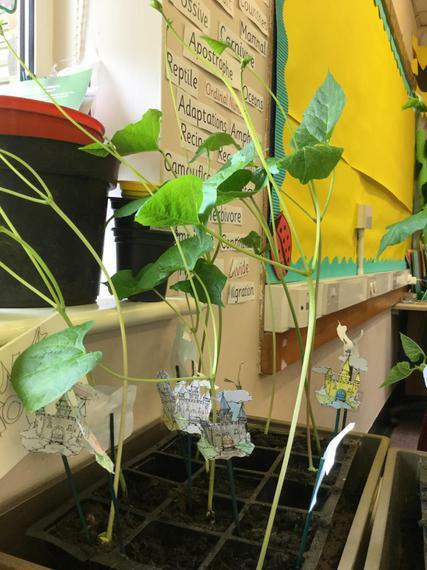 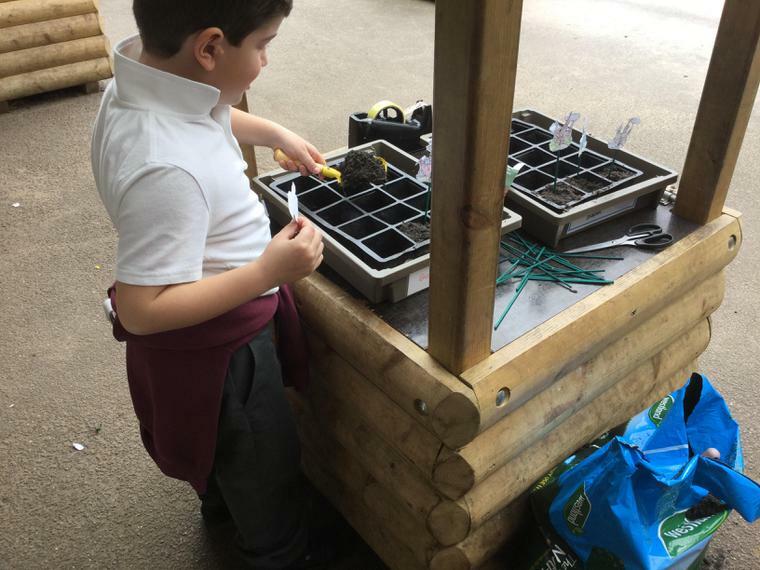 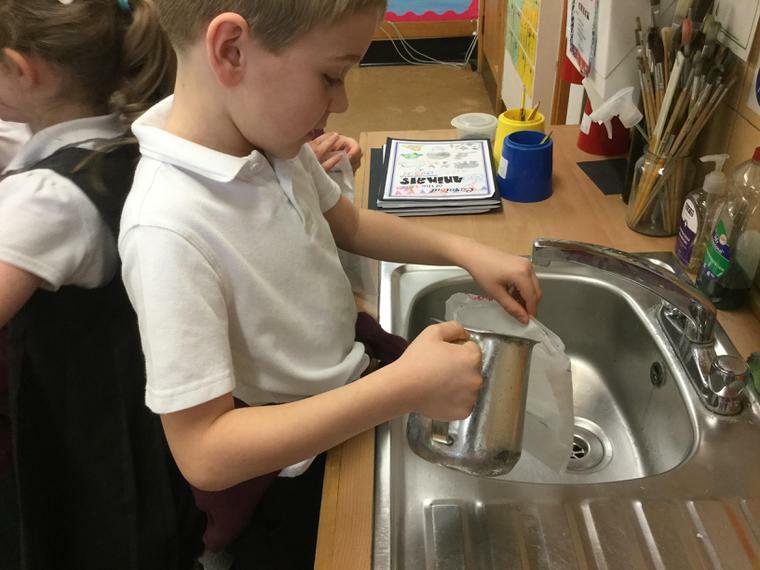 We have set up a hydroponics system in the classroom. 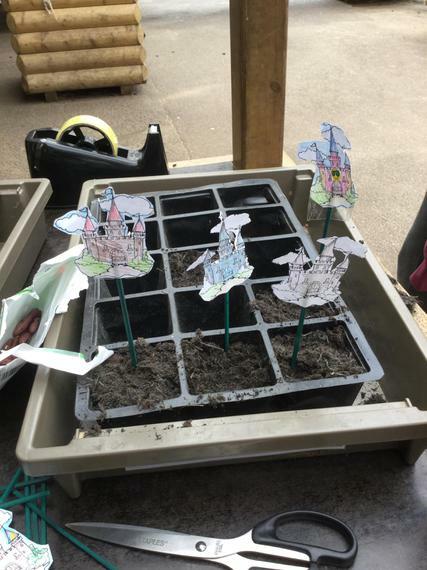 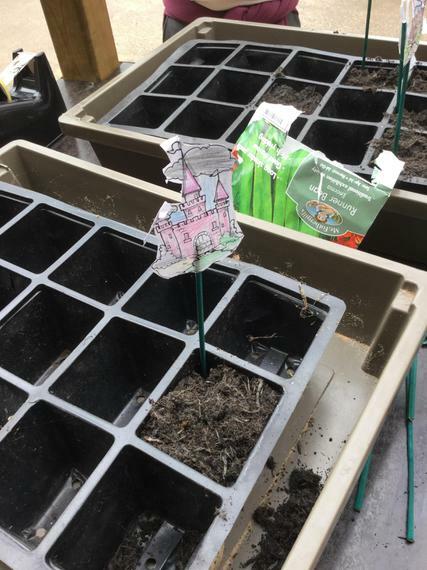 Planting beans, let’s hope they reach the castle.